Stereolab’s new album is both difficult and very likable. Clocking in at a whopping seventy-five minutes, Cobra and Phases Group Play Voltage in the Milky Night accumulates layer upon layer of bubbly space-age keyboards. 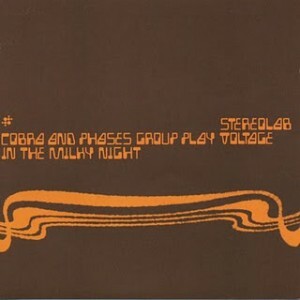 It’s light years beyond 1997’s Dots and Loops, on which Stereolab began exploring samples and looping rather than writing songs the old-fashioned way.